This new Screw Cartridge Grease Gun has been developed by Lube shuttle. 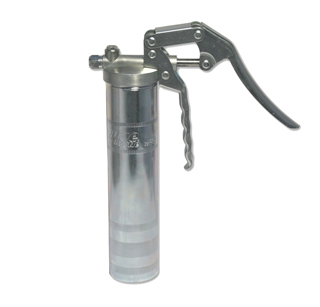 It is a one handed grease gun constructed with a zinc plated steel barrel with an ergonomically designed pistol grip and is packed in environmentally friendly cartons. 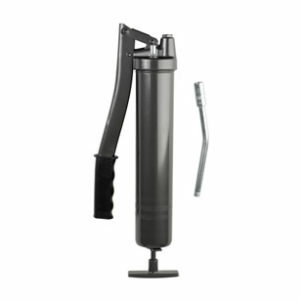 Total now pack a new cartridge for its grease products to screw into this grease gun. 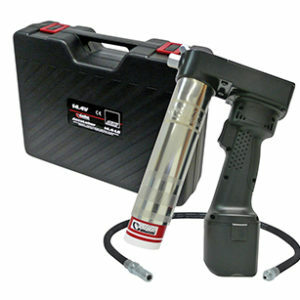 Finol Oils sell this one handed grease gun with a solid hose connection included. * Unscrew lid from Total 400g Screw-in grease cartridge. * Screw grease cartridge into grease gun. 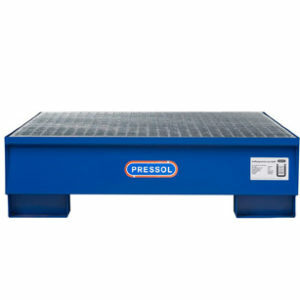 * Give the bottom of the grease cartridge a quick push to expel any air that may have been trapped during loading. * Screw on hose fixing. * Squeeze grease gun trigger 2 or 3 times to expel air in hose and grease will start to flow. 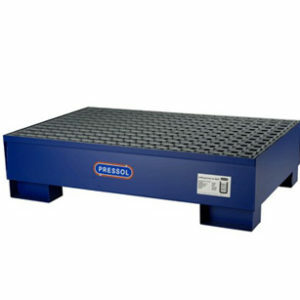 * VISIBILITY grease grade can be seen at a glance without removing the cartridge. * WASTAGE – Thanks to TOTAL cartridge design, there is no wastage at the end of the cartridge, like you get in other types of cartridges.